This is a super simple project. All you need is a hair comb and embroidery floss. 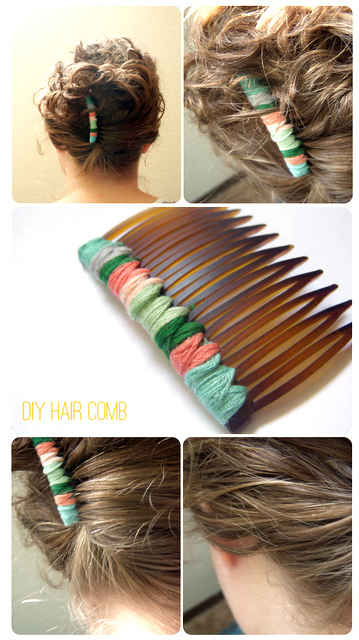 I had a pack of hair combs that I got at Walgreens a long time ago (Like 10 or 12 combs for $4- they still have them). Vintage embroidery floss from forever ago. I wrapped in a V-shape pattern. I didn't use any glue - just tucked ends under the next color and tied off the last piece. I've used it a couple of different ways but this is my fave - an updo, 90's style.